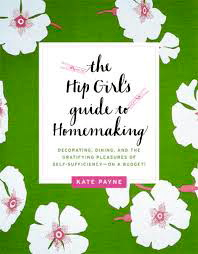 I’m never exactly sure why people are here, I mean there’s the recipes, gardening info, and home decorating tips (ha! just checking to see if you were paying attention). And then I suspect there’s people who are here in spite of the roadkill, the pee-fertilizer, and rooster-butchering. 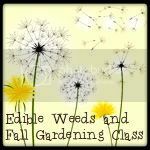 But if you’re here to learn how to make your own vinegar, then hello! (Actually, you dear dear people told me very generously why you’re here, and oh boy did I love reading these comments). Hello! I am hawthorn berry vinegar-in-the-making. September is a great time to make your own vinegar because the main ingredient is fruit, and even the sorriest looking fruit will work, with all its bruisy softness and orbiting fruit flies. And I know vinegar seems like the crazy no-man’s-land of home preserving, like you may have to quit your job just to have the time to figure this one out, but pssst, it’s crazy easy, and you when you pull out your gorgeous bottle of homemade vinegar to dress the salad for company, you can blush modestly over your own chemistry skills. 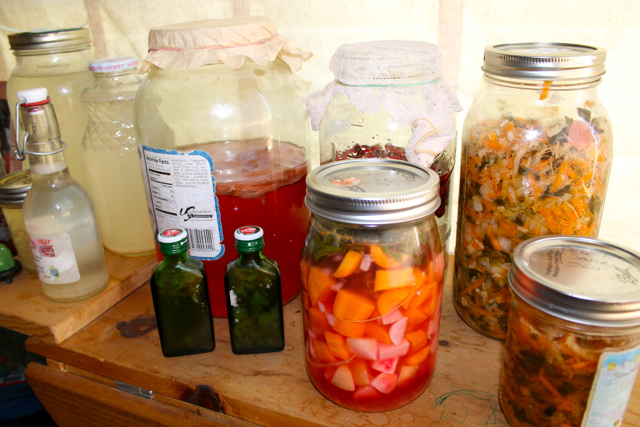 Also, if you need one more reason to make your own vinegar…prizes! 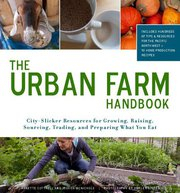 I’m hosting this month’s Urban Farm Challenge, a fun idea cooked up by author of Urban Farm Handbook, Annette Cottrell, to create community around simple homesteading tasks throughout the season. Also, on the September Challenge forefront is bartering! 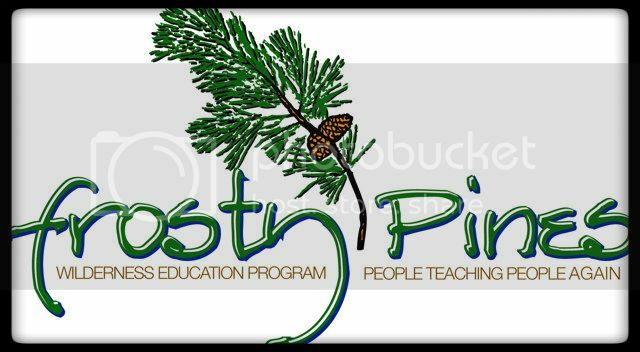 Go here to read more and for an extra chance to win groovy books. I’ve made apple vinegar and pineapple vinegar (swoon!) 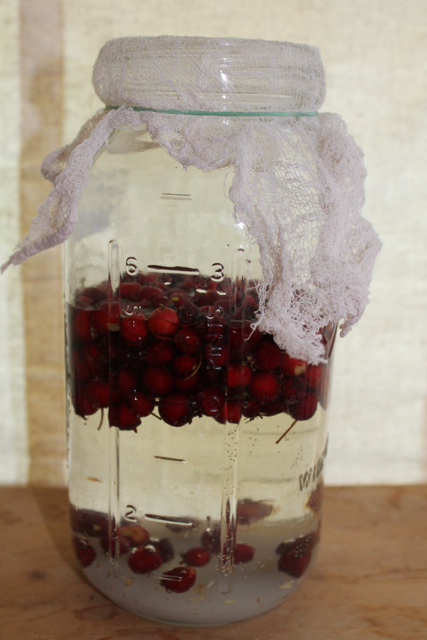 and this time I made hawthorn berry vinegar because I’m fond of those wild fruits and we have a nice hawthorn shrub leaning over our chicken coop. 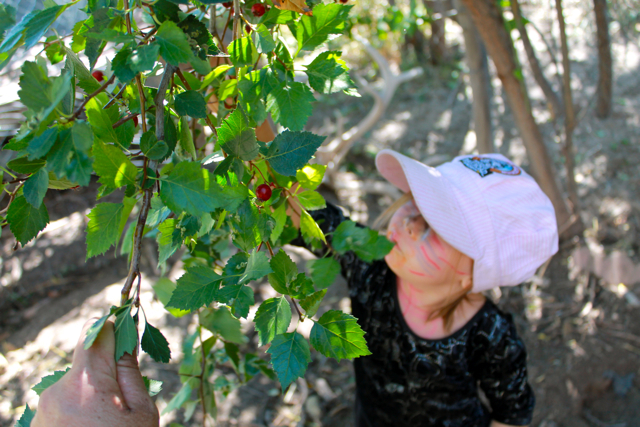 Look who else likes hawthorn berries! 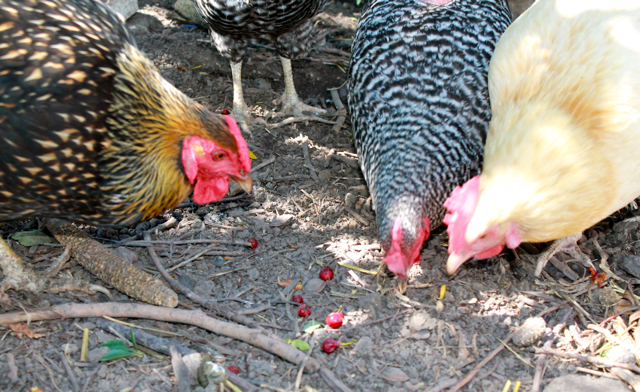 (truthfully, there’s not much these hens *don’t* like). 1) Dissolve sugar in water. Add fruit. Cover with cheesecloth and leave alone. Make sure fruit is fully submerged. You can place a clean rock in your jar to weight down the fruit or shake your jar daily so that the floating fruit get covered with the fermenting liquid and will be less likely to mold. 2) In a week, notice bubbling and water darkening. Strain out fruit. 3) Let liquid sit for another 2-3 weeks, with lid on instead of cheesecloth now, to continue fermenting, shaking up periodically. 4) Taste. Give yourself huge props for making a pantry staple. 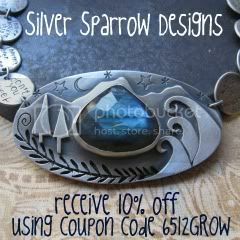 5) Enter giveaway on Annette’s site in mid-October to win prizes. Special hawthorn berry gathering friend. 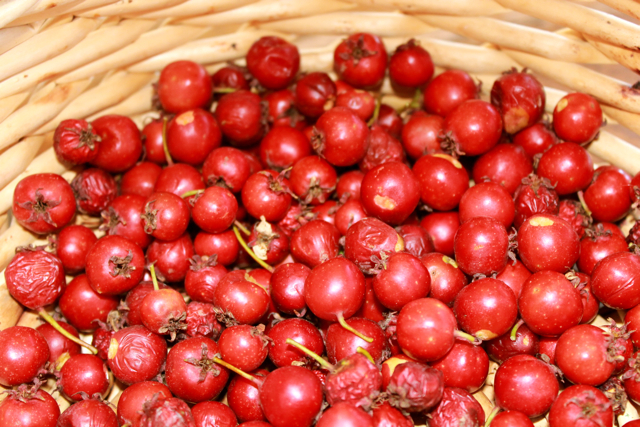 Hawthorn berries are good for hearts and veins. When I worked at the herb shop, we saw several people who dazzled their docs by replacing their blood pressure meds with hawthorn berry tincture. Day 5. This is the part where the aroma of your vinegar-to-be smells a little like my backyard when I lived next door to a frat house in Boulder, Colorado. Not pleasant, but active. Step 3: Sitting. See, not too challenging. Okay! Everyone ready? If you win will you let me borrow the books? Feel free to leave questions in the comments below. 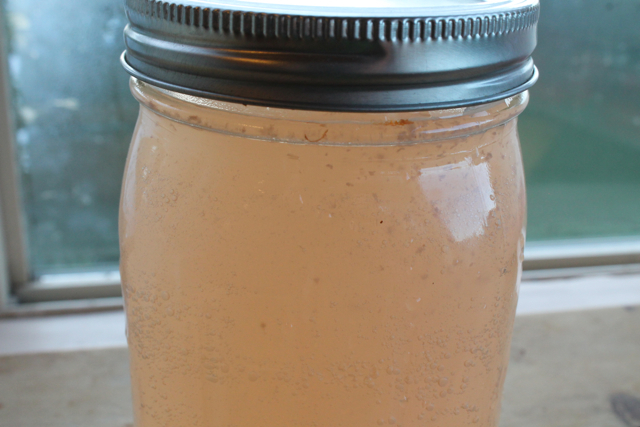 I tried to make a batch of apple cider vinegar last year with a “mother” (the active stuff in a jar that turns alcohol into vinegar – ala Braggs Apple Cider Vinegar “with the mother”). Yo can buy the mother at brew supply shops sometimes. I mistakenly just dumped the mother into the raw cider, not realizing I needed to ferment the cider into alcohol first, THEN add the mother to turn the alcohol into vinegar. Just an FYI if you aren’t relying on the right wild yeasts to turn your brew into vinegar. BTW, it might have worked anyway. I have this gallon jar about 1/4 full of 3 or 4 mats of “something” but not sure if it is still mother. It does not smell bad, but doesn’t really smell like vinegar either. And it’s one of those “forgotten” projects in my pantry that’s been there for about 6 months, and I’m not sure quite what to do with. Ha. BTW, I’m going to try the fermented ginger ale this week. SO excited. I’m here for the joyful, heartful uplift I receive after reading each post. Yes, you are a wordsmith and a fermentation wizard and a fierce mama, and I love all of it…but it’s what’s in the spaces in between that keep me comin’ back. hello dear! not able to comment on your blog again so leaving it here! already got some vinegar going this monday morning thanx to you! with peach parts…we’ll see! 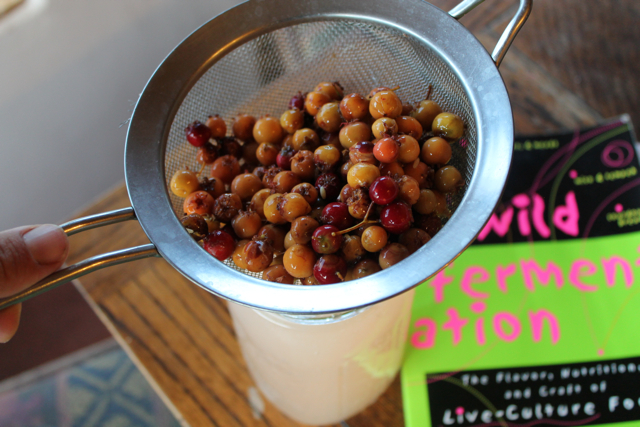 I’ve been very eager to work with hawthorn berries this season, but I keep delaying with jam making — maybe I’ll try this instead! I love it! seeing as there is nary a hawthorne bush in sight down here, can i use any fruit? more importantly is there any fruit i don’t want to use for whatever reason (this is a must know because more than likely that will be the fruit i inadvertently end up choosing *ahem*)? Um, seriously? I don’t know why I thought, to the extent that “thinking” is the applicable term, that vinegar would be harder to make. As if the starter came from deep springs in high mountains guarded by dragons. Thank you. I’ve never heard of hawthorn vinegar before, but we have them by the stack – we normally turn them into a red sauce – but I do like your idea. Time to get foraging I think. if you don’t have cheese cloth on hand do you run to the store (get ice cream and have a dance party past bedtime) or can you use a scrap of cloth? It is best to use cheesecloth, a rabbi and only free-range, gluten-free yeasts to perform this miracle of turning fruit, sugar and water into vinegar…but if you only have a scrap of cloth, that will work perfectly well. Yes, you can use honey. The yeast just need those quick-to-convert calories to do their work. If you can warm the honey up enough to dissolve it into the water, that is best. Also, it may be slower to ferment by a week. Just keep your eye out for bubbles and darkening liquid. Enjoy! I am going to make pineapple vinegar. What can I do with it after I make it? I made pineapple vinegar last year. It had the most intoxicating smell. You can use it however you normally use vinegar. I used mine in a lot of meat marinades. Well I have never even heard of making your own vinegar, but definitely plan to give it a try now, after reading how easy it is. How very fun! Thank you for the great idea. I’m here for all of it, inspiration included! This looks reasonably do-able (then again, so did the sourdough starter…) so I just might try it. Wish me luck! Hi Rachel, how long does this keep? I’ve tried apple cider vinegar a few times bit it turns to hard cider pretty quick(not always a bad thing). I thought the alcohol stage came before the vinegar (hence the frathouse aroma), and that vinegar was the end of the line, microbially speaking. But hard apple cider sounds even better. I was glad to see this entry on your blog because a few days ago I decided try making my own vinegar out of an abundance of pears from my neighbor’s back yard. I hope it works! Question: Once the process is finished, how do you store it? I store it in my pantry. No refrigeration needed. This looks pretty easy, can’t wait to try! A question: for step 3 (“Let liquid sit for another 2-3 weeks to continue fermenting, shaking up periodically.”) Is that with a lid on, or with cheesecloth still on? thanks! Lid on. Thanks for asking. I will clarify in post. Fun. My husband has been encouraging me to add vinegar-making to my other new preserving skills. I have a load of asian pears to do something with. I’m planning to try pickling some, but might just try a pear vinegar with the rest. Thanks for the post! Asian pear vinegar sounds great! My fruit has remained submerged but i have two white spots of mold growing on top. Do i throw out this batch? Are you 100% sure it’s mold? My hawthorn berries got bubbly-white and could have been mistaken for mold. If you are sure, then just simply remove the mold. No problem. Good luck Julia! Okay, I am trying Cornelian Cherries. This should be interesting! I’ll let you know how it goes. Thanks for the great challenge. They are going really well! 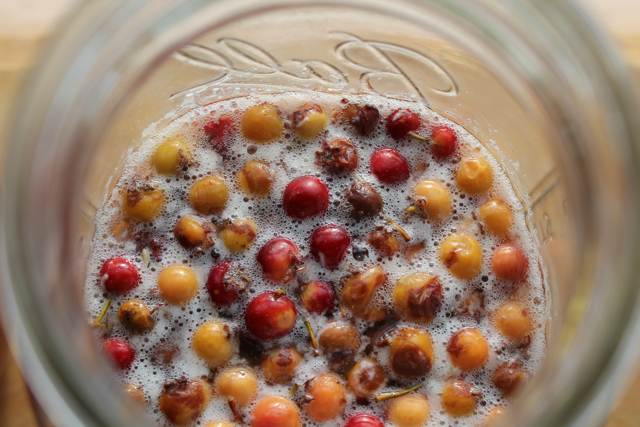 The Cornelian Cherries don’t float, so it is making the process super easy. Our son is really enjoying it, too. More later. Our batch seems to be arrested in the alcoholic stage. It smells like acetone~! Any idea how to bump it over into the vinegar realm? Shoot. Have you tasted it? Vinegar should be the end of the line chemically speaking. I wish I could offer something more. Sorry, and good luck! So I’m guessing that the green tinge around the top of my jar is mold. And thus my experiment is more along Col’s lines than eventually edible vinegar?? Wipe off the mold and carry on! Ok. I persisted. And now how do I know when it’s actually done? Mine is still frothy on top. Does that mean I should wait some more? Oh, and how long does it keep when it is done? Refrigerated or no? 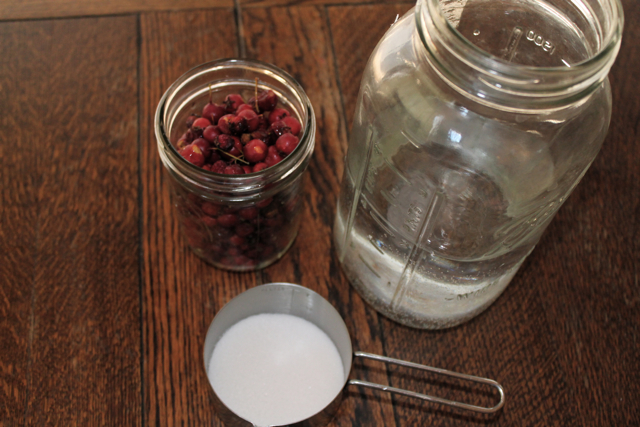 It’s so nice to have stumbled upon your site while searching for uses for Hawthorn berries. I started a batch of Hawthorn Vinegar. I’ve also got a couple of batches of apple cider vinegar (with Bragg’s as a starter), a crock of white wine and another crock of red wine vinegars. The idea of making your own vinegar was so intriguing I did try it, using apple cores and peels. The good news: It definitely turned into vinegar. The bad news: It had little white worms floating on top. Ack! Have you had that happen? I googled vinegar-making and it sounded like others have had the same experience. Some people recommended straining them out. But the gaggability factor made me just chuck the whole batch. Do you think my homegrown, non-sprayed apples could have been the cause? Or is the whole worm thing just part of the process? Darn! I have never had (or heard of) that happen. They must have come from the apples, unless your vinegar was uncovered and accessible, but even so that sounds unlikely. I guess the good news is: you did it! And the bad news is: now you have to start over.